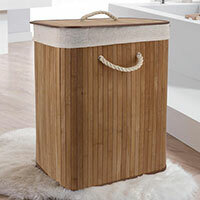 Stylish and practical foldable bamboo laundry basket with lid. Ideal for use in the bathroom or bedroom. 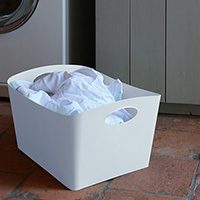 Keep your whites, colours and delicates separated in our three bag laundry basket. 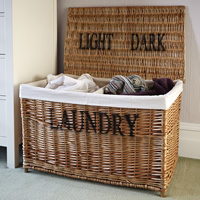 Large wicker laundry basket with two sections marked for 'Lights' and 'Darks'. Makes doing the laundry that little bit quicker. Top quality rattan storage basket with fitted lid and cotton lining. 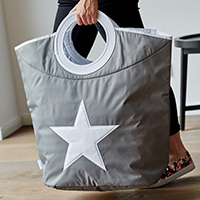 Tall, durable grey laundry bag with a simple star design and carry handles. 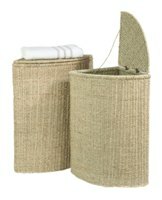 High quality jute laundry bag with chunky rope handles. Another stylish and long lasting item from our friends in Denmark. 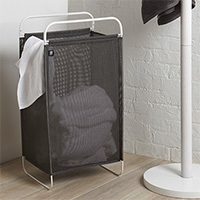 Attractive laundry hamper with a flexible frame that comes together to form an instant carrying handle for transport to the washing machine them bounces back into shape when sat-down. 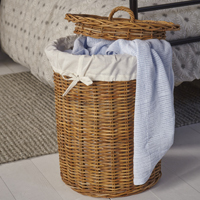 You asked for a stylish laundry/washing basket that was a bit better quality than the run-of-the-mill stuff available and here it is! 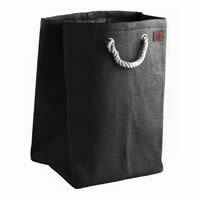 Tall, durable canvas laundry bag with a square profile and handles. Space saving corner unit for family use. 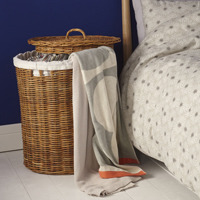 This laundry basket now has with a fabric lining! 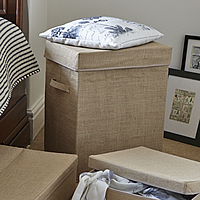 Foldable lidded hessian storage box with handles, makes for a great laundry box. 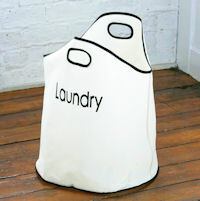 Travel sized laundry bag for your suitcase. 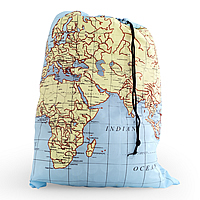 Avoids mixing dirty and clean washing inside your bag whilst allowing you to plot your next stop on the world tour. Folds up into a compact pouch. 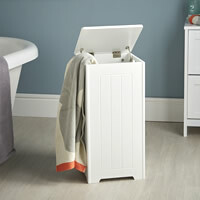 Space saving slim-line shaker-style laundry hamper with hinged lid. 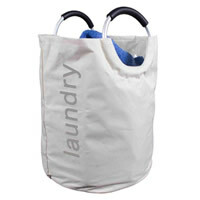 Well-made portable laundry bag with robust carry handles. 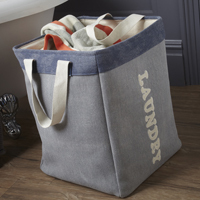 Canvas and nylon laundry bag in a choice of colours. Nice sturdy idea for carrying the washing to the machine. 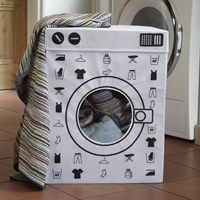 Amusing washing machine shaped laundry basket complete with clear window to the front. Available in 2 colours. Solid oak laundry hamper with hydraulic damper lid. Delivered fully assembled.